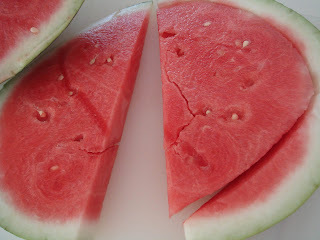 It's almost summertime and that means time for watermelon. We ended up with a watermelon that's bigger than my head and wanted to make something different but still refreshing. 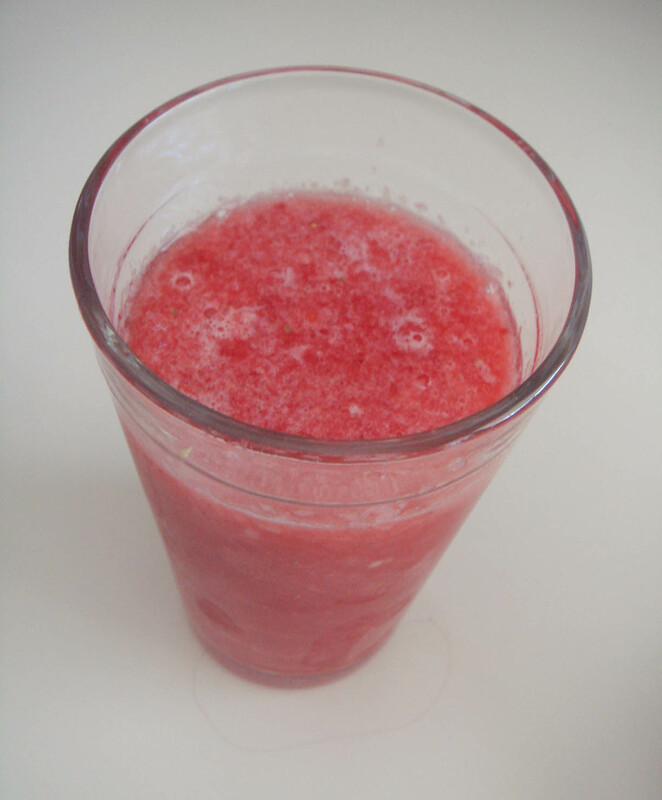 So what better way to cool off than to blend a bit of watermelon with a few leftover strawberries and some ice in the blender? Thanks to the ridiculously powerful Vitamix, pulverizing ice is easy peasy for this blender. In a matter of seconds, I had an icy, naturally sweet pink drink...yum! 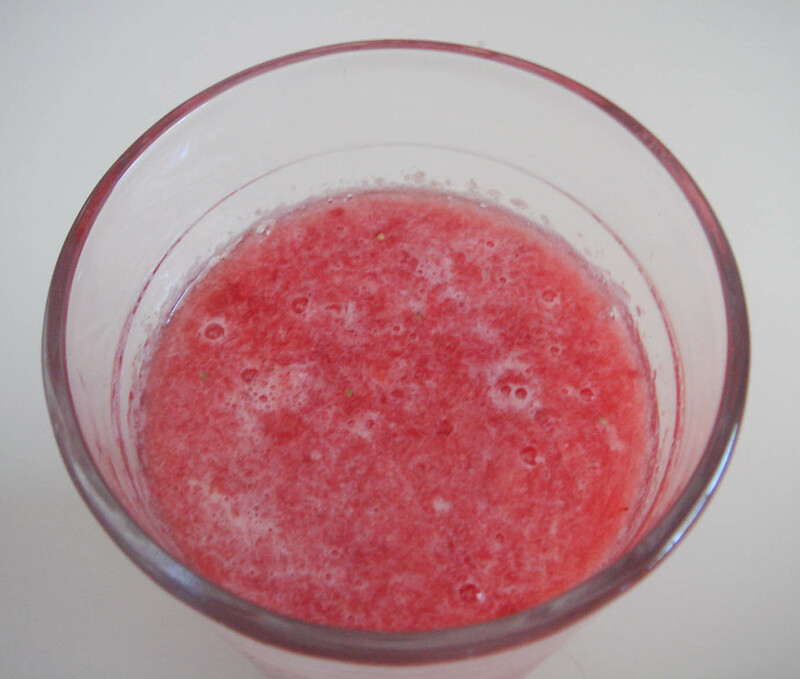 What other things do you make with watermelon? You mean you have leftover watermelon? I'll have to send Little A over to you. She'll finish it off in 2 seconds flat! I really want a VitaMix - do you love yours? 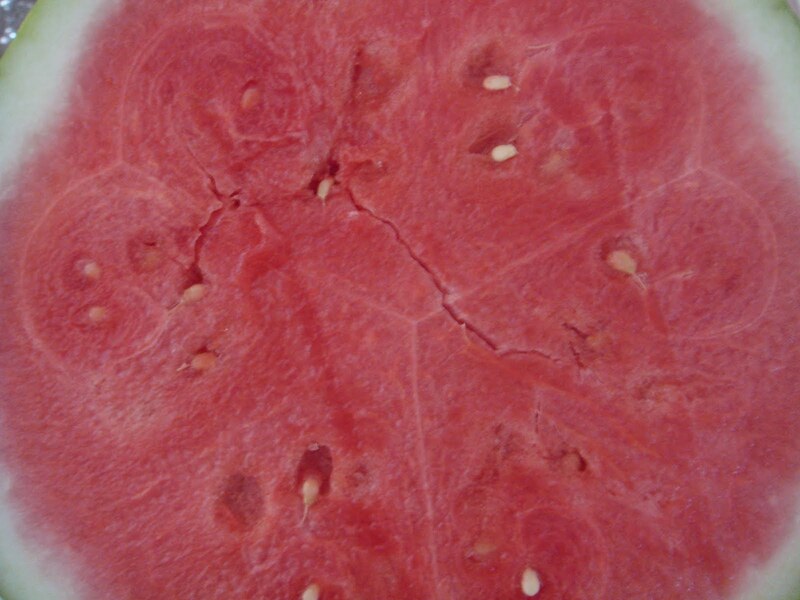 Well it was a watermelon from Costco which meant it was enormous! 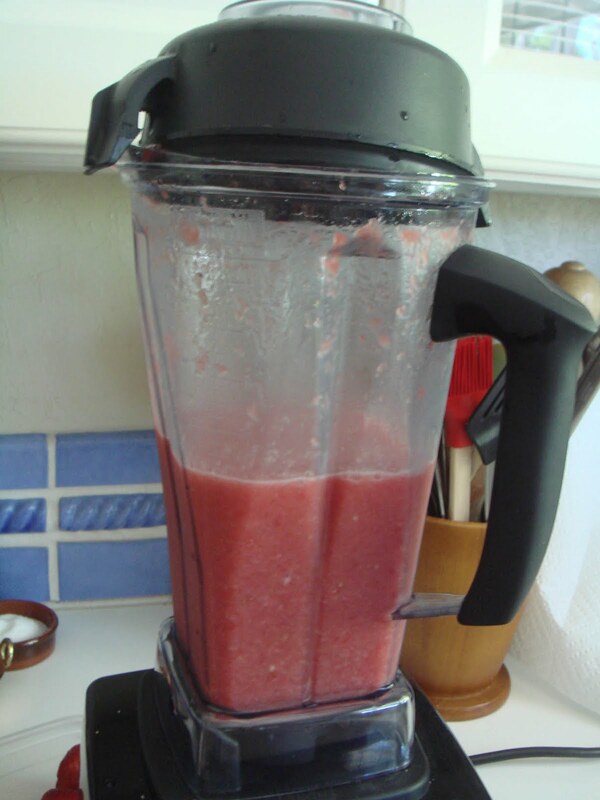 We do like the Vitamix...but it's a man-blender- all about horsepower and such and not aesthetic at all. It also weighs a ton so not so fun to put away but I'm not keeping it on our kitchen counter. It's performance is pretty impressive. Justin chose this purchase and bought it - without me! But it's pretty cool! !